You are at:Home»BLOGS»HELL'S KITCHEN»Hell's Kitchen 14»Hell’s Kitchen Ep. 16 Recap: The Winner Is Chosen! Well, here we are! After several tamper tantrums, several F-bombs, a back injury, a few kitchen fires, LOTS of raw meat and mountains of rubbery scallops, we are at the conclusion of the fourteenth season of Hell’s Kitchen. Who will win it all… Meghan Gill or T Gregoire? Keep reading to find out all you need to know! 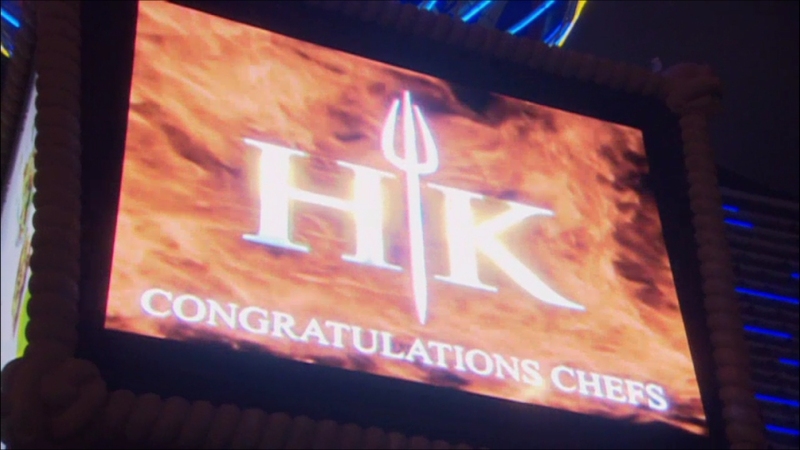 The finale continues where last week’s episode left off… Chef Ramsay is about to reveal a special visitor to Hell’s Kitchen: Christina Wilson, the winner of Hell’s Kitchen season 10! 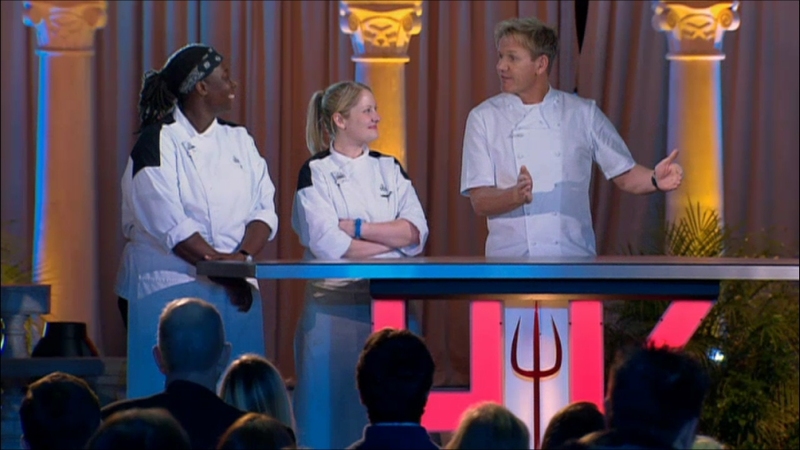 Chef Ramsay tells the two finalists that Christina will be giving them pointers on how to win the competition… and they’ll be doing it in Las Vegas! Meghan and T arrive in Vegas and are living the high life until they get folios from Chef Ramsay to prepare their final menus. The next day, they head to Gordon Ramsay Steak for a private lunch with Christina. She tells the two that they must pick a good team of people from the eliminated contestants in order to be strong enough to win. Now back in LA, they are taken in a Rolls Royce to Chef Ramsay’s home (or so they think)… and we get to meet his wife and daughter. They are lead outside where Chef Ramsay is awaiting them… along with a screaming crowd of people! T and Meghan aren’t there for rest and relaxation after all… it is their final challenge! They have one hour to create five dishes each: a hot app, a cold app, a fish entree, a chicken entree and a beef entree. After they rush to get their dishes prepared, Ramsay reveals that a chef will be judging each of their dishes and scoring them on a scale of 1-10. Chef Anna Kelly judges the cold appetizers first. T’s mock fish and chips with tuna and avocado is delicious and earns an 8 while Meghan’s toasted scallops with citrus vinaigrette is under-seasoned and earns a 7. The hot apps will be judged by Hubert Keller. Meghan’s abalone earns 9 points while T’s rosemary lamb earns another 8 points. Nancy Silverton judges the fish dishes. Meghan’s trout was criticized for the skin being left on and earns 8 points while T’s red snapper earns a near-perfect 9 points. Nancy Oakes judges the chicken entrees next. Meghan earns a solid 9 while T also earns a 9! With T in the lead by one point, it all comes down to the beef entree. Wolfgang Puck judges the dishes in this round. Meghan’s New York strip steak earns 8 points and T’s dish earns 8 points as well which means T WINS THE FINAL CHALLENGE! It is now time for T and Meghan to choose the eliminated chefs that they want on their teams for the final dinner service. As the winner of the final challenge, T gets to choose first. T’s team consists of Milly, Nick, Adam and Christine; Meghan chose Michelle, Alison, Josh and Randy (well, she didn’t really choose Randy…she was kinda just stuck with him by default). After the teams are chosen, T and Meghan get their teams up to speed on the menu for the final service. 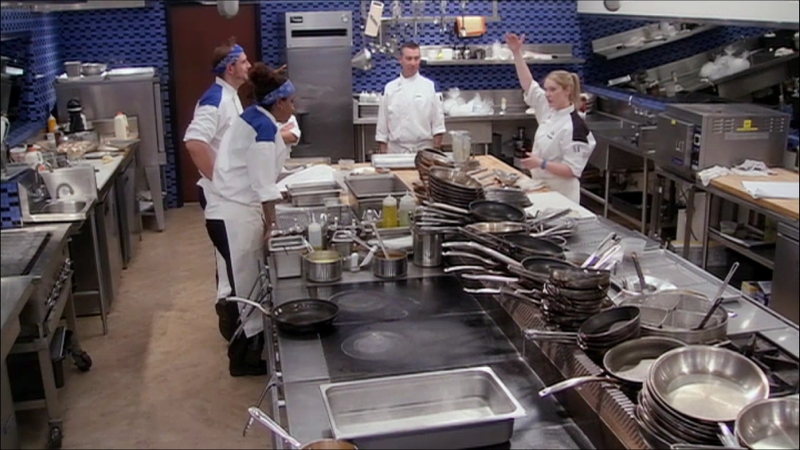 As the teams are in the kitchen prepping, Chef Ramsay calls them to his office. They have both earned the right to wear the white executive chef jackets! Now they get to actually look like they’re running the kitchen! The final dinner service begins and the chefs’ families are in attendance as well as Tiffani Thiessen at T’s chef’s table and Lisa Loeb at Meghan’s chef’s table. Both chefs do a pretty good job of keeping their crews in line and on task, but Adam sends raw meat up to T’s pass and she is forced to deal with the setback. Meanwhile, Meghan gets criticized by Ramsay for micromanaging her crew instead of waiting for them at the pass. Back in T’s kitchen, the crew plays a fun game of “musical stations.” Randy overcooks chicken and it’s time for Meghan to channel her inner Gordon Ramsay and yell at him to get it right. After taking control of the “saboteurs” in each of their kitchens, Meghan and T complete the final dinner service of the season. Chef Ramsay must take into consideration their performance as well as the customer comment cards for his final decision. Meghan and T line up at their doors, ready to find out who wins season 14! Meghan and T meet in Chef Ramsay’s office for the big moment. 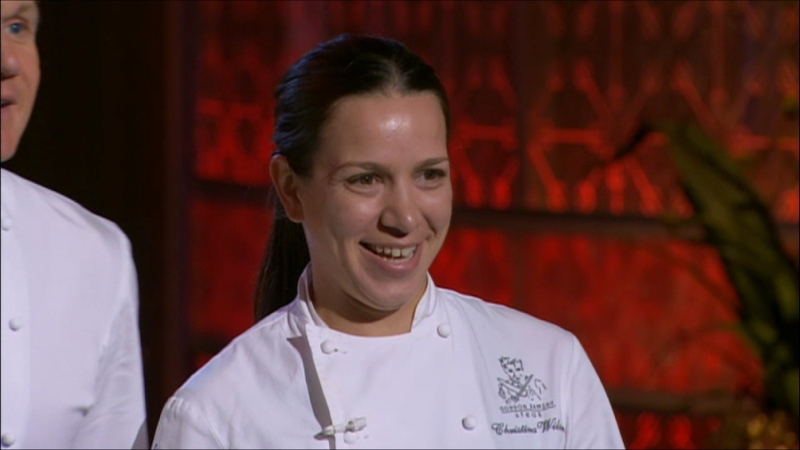 He compliments Meghan on her strong performance in all the dinner services and competitions throughout the season. He commends T for her natural-born leadership skills and her ability to thrive under pressure. It is now time to reveal the winner of Hell’s Kitchen season 14! Meghan and T line up behind their doors. One door is locked, and the other will open to the screaming crowd and the winner will emerge! The winner of Hell’s Kitchen and a salary of $250,000 is MEGHAN GILL! 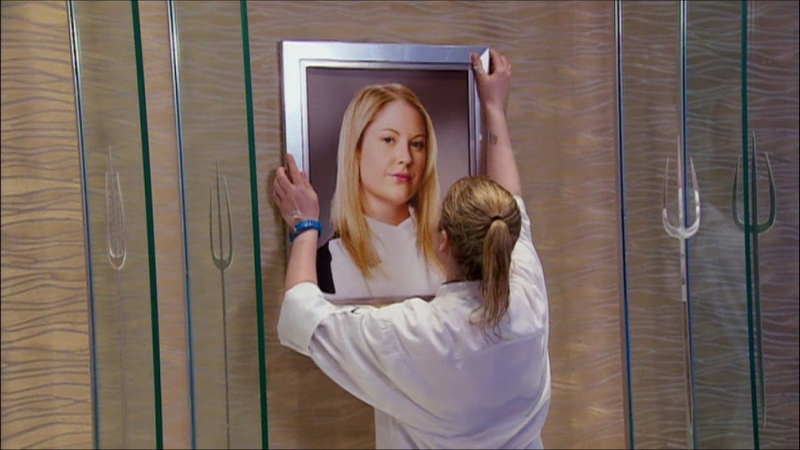 Hell’s Kitchen season 14 winner Meghan Gill hangs her portrait in Hell’s Kitchen. What were your thoughts on this season of Hell’s Kitchen? Are you glad Meghan won? Let me know in the comments below or on Twitter @vince1187! 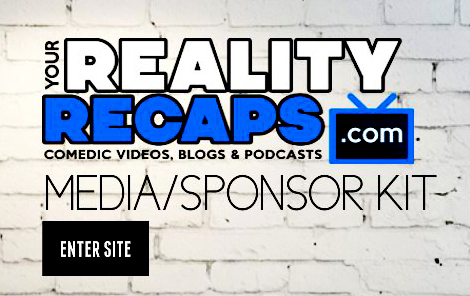 Previous Article#RHOC SEASON 10: EP1 Housewives Audio Blogs!